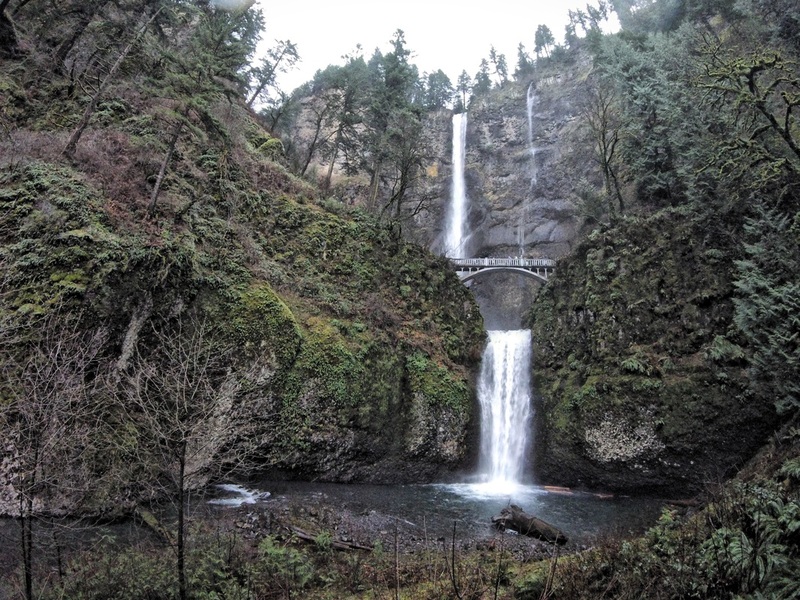 On December 19, 2014, Stephen and I visited the Portland Oregon area while on our Papa.Bravo.Fourteen road trip. 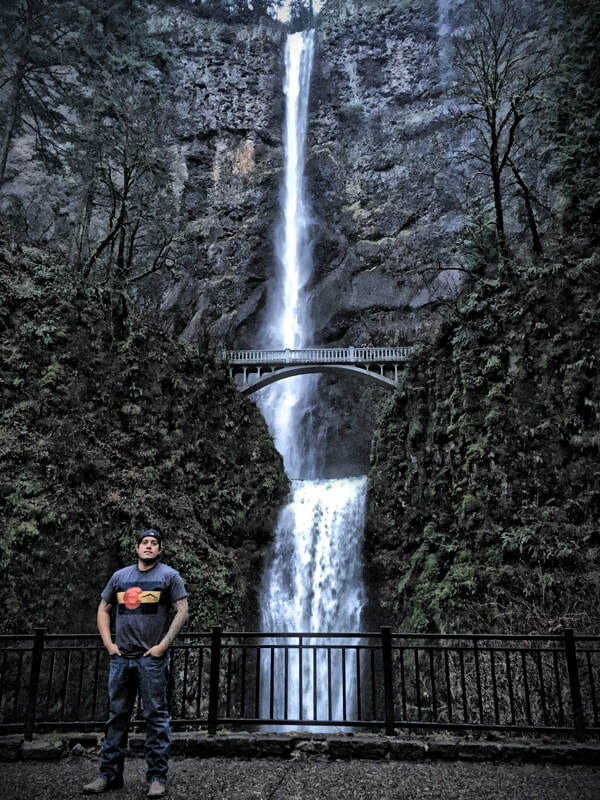 Before heading back to Washington state, Stephen and I visited Multnomah Falls which is located near the Columbia River, east of Portland. 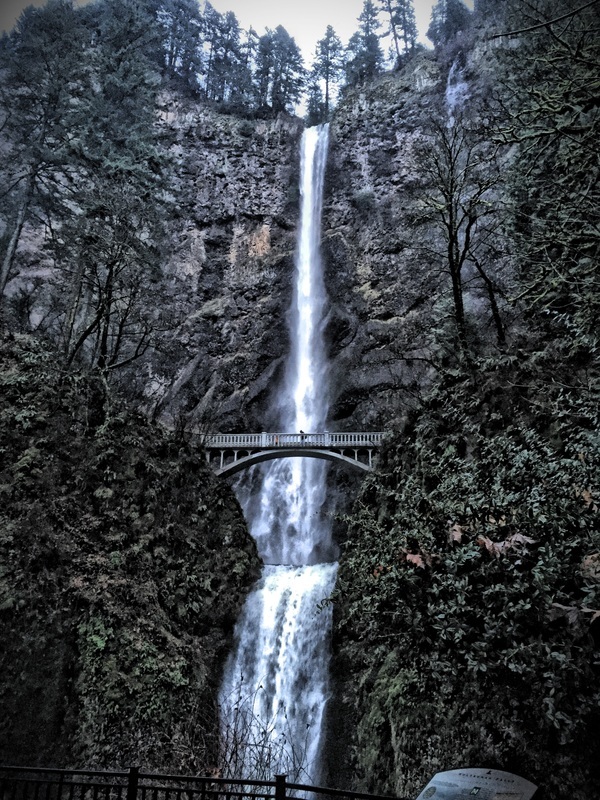 Multnomah Falls is a beautiful and peaceful place to visit. 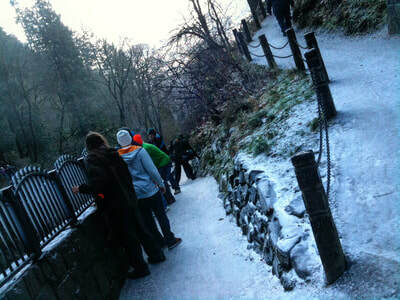 It is split into two steps or falls. 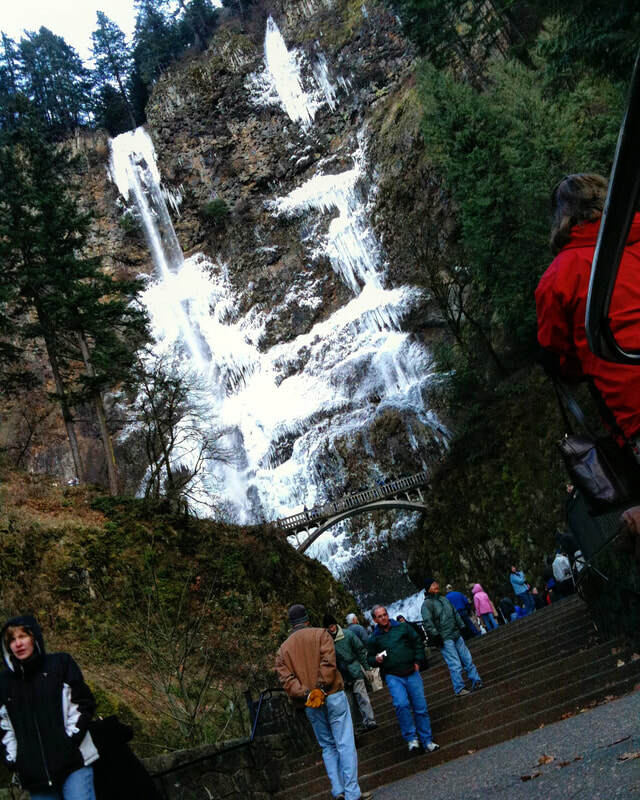 The first being the upper falls at 542 feet and the lower falls at 69 feet. As you get closer, you notice a walking path that leads up to the Benson Footbridge. 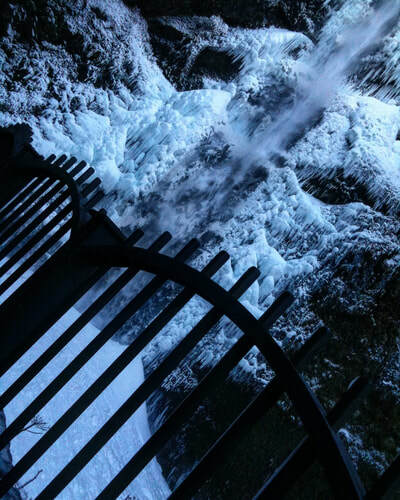 This allows for a spectacular view of both falls. 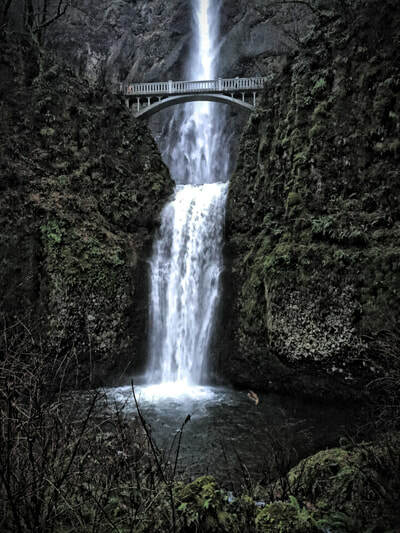 Depending on the time of year, weather and wind, you get a nice mist of water while standing on the bridge or the platform located on the bottom. If you continue on the walking path over the bridge and to the top, it leads you to another platform where you can get an amazing view of the Columbia Gorge. 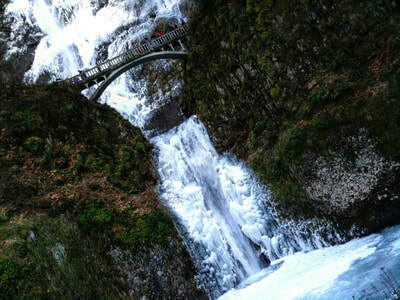 Since I am originally from Washington state, I have been fortunate enough to visit the falls several times in the past. 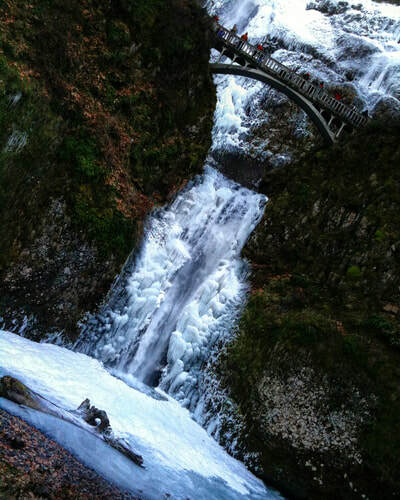 The falls are beautiful any time of the year. 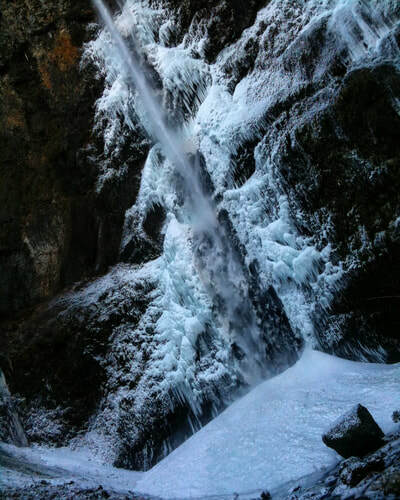 Some times during the winter, the falls will freeze and create massive ice sickles. 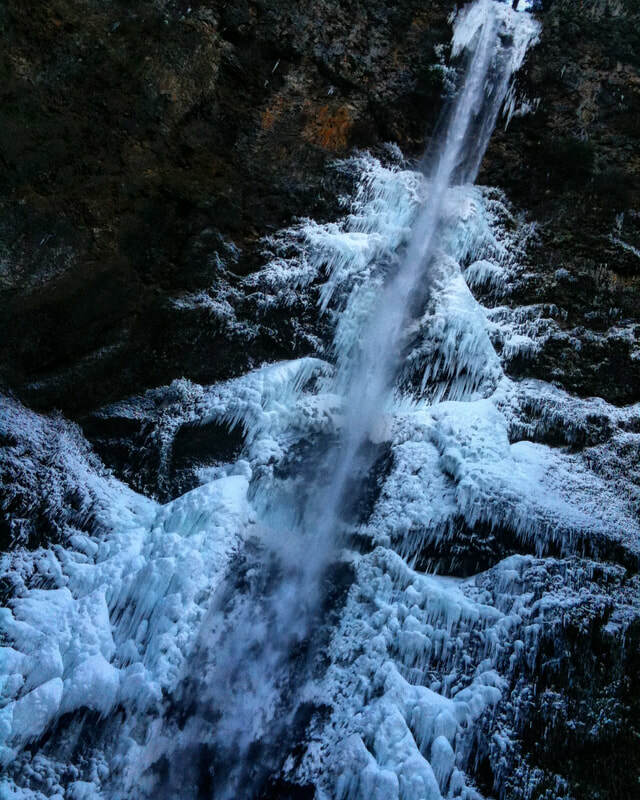 I enjoy visiting the falls during the winter time the most. The crowds seem to be smaller and parking/traffic is better. That is my adult answer. 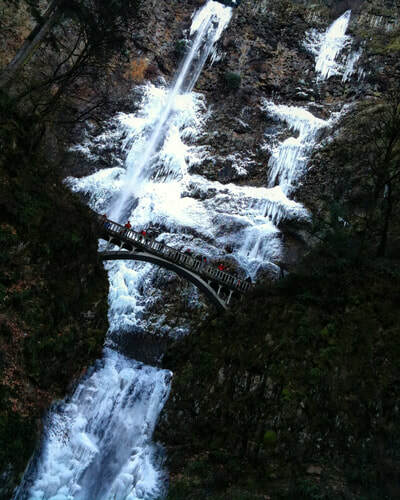 The real reason I enjoy winter visits to the falls is for the hot chocolate sold near the lodge. If you get the opportunity to visit the falls, I recommended taking the time to do it. 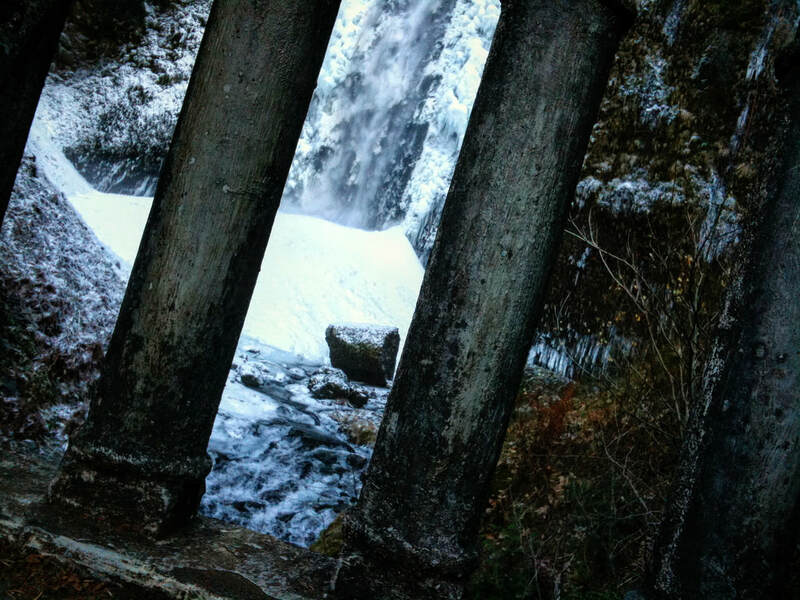 If you do it during the winter, get two cups of hot chocolate...one for you and one for me! 25 countries. To see all the places our products are in use, please click here: BAG Products World Map. We are blessed to have so many people around the globe rocking Bourn Adventure Gear. We wanted a way to personally thank them for their order. 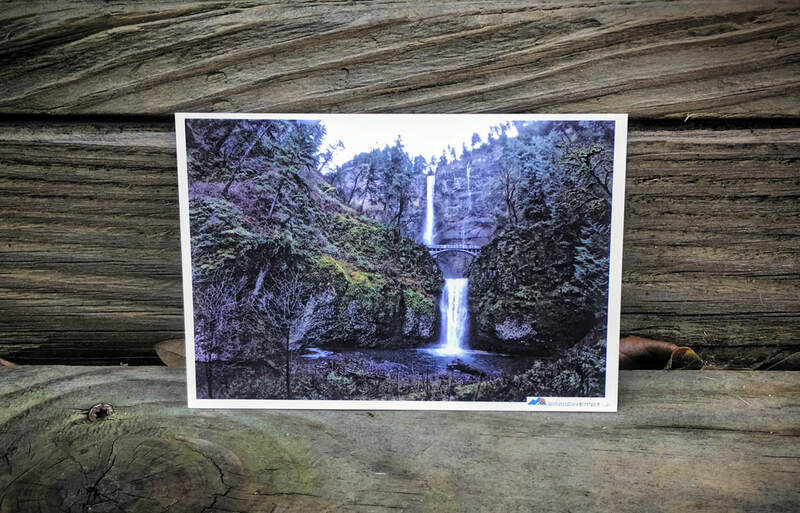 We selected Multnomah Falls to be featured as our BA 2017 postcard series #3 and just like other postcards before it, it was a big hit! Customers have told us of conversations generated by the postcards hanging on their refrigerator or in their office. Hearing that something so simple could spark curiosity and encourage adventure brings a smile to our faces.